According to Reuters, Boston had some unseasonably warm weather during the New England Patriot's championship parade. With the temperature forecast at a high of 63 Fahrenheit, a crowd numbering in the hundreds of thousands took to the streets in celebration. 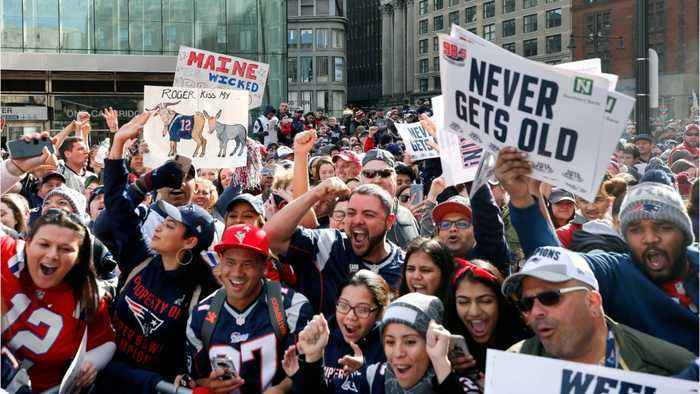 Fans lined the streets along the route, which took the team from Boston’s Prudential Tower and down Boylston Street to City Hall. The Patriot's sixth parade also marked Boston's 12th professional sports championship parade since 2001. 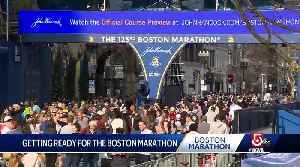 Thousands from around the world have descended on Boylston Street ahead of Marathon Monday. 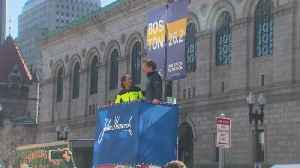 Des Linden and Bill Rodgers celebrated the raising of the 2019 Boston Marathon banner at the finish line on Boylston Street Wednesday.